Colorescience® UV Protectors deliver non-chemical sunscreen protection with added defense from environmental stressors. Layered protection has never been this easy to apply and reapply throughout the day. Always be ready for mess-free mineral protection with the Colorescience® Brush-On Sunscreen. The brush offers powerful SPF 50 UVA/UVB protection, alone or over makeup. SPF and finishing powder in one simple, on-the-go application. Perfect for your car, purse and home; sand or snow. Protect the whole family wherever you are. 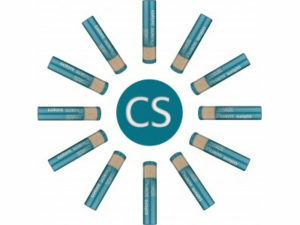 Colorescience Sunforgettable SPF 50– This is a highly refined mineral sunscreen which provides safe, non-irritating, UVA and UVB sun protection. The self-dispensing powder brush makes it easy to apply and re-apply throughout the day for continued coverage.